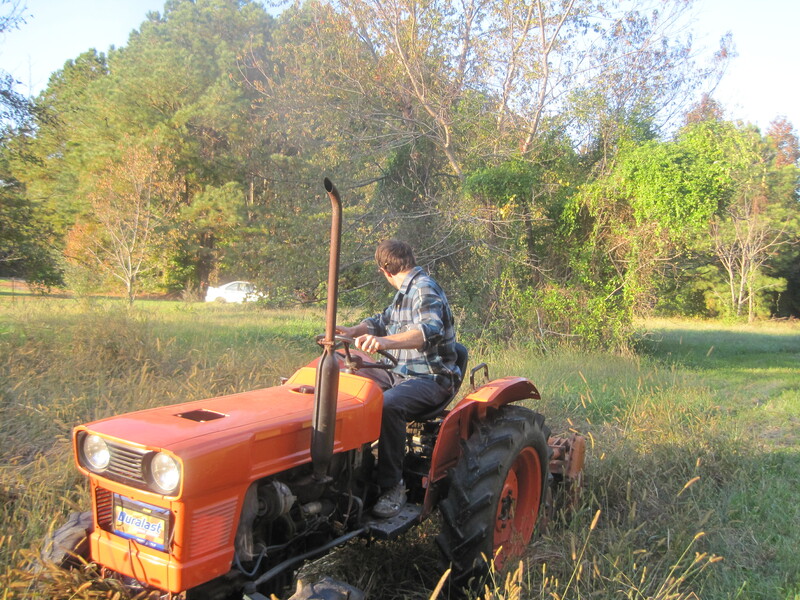 We have been devouring various gardening, slow food and living-off-the-land type books (we’re out in the country, folks – what other entertainment do you think we have?). At this point, I can’t seem to keep straight where I read what. Soil requirements for bulbous beets, cold frame designs, deep bed planting, when to expect broccoli to flower, what to do during the winter to prepare for spring…yada yada yada. Over the next few months, we are going to rely on these volumes of wisdom to plan out our spring and summer garden with the intent to produce here as much food as we can. I’ve been experimenting with breadmaking, now that I am around most days and can check on the progress of the dough in between other jobs (or conference calls, as it often happens). So far, I’ve not come up with a blue ribbon recipe or had a stellar enough experiment to bother sharing. Yet. But all this baking has sparked a couple conversations about the price and economics of flour, and the feasibility of reaping enough to live on. Then I came across the chapter “Plant Your Own Wheat Field” in The Backyard Homestead whilst flipping though it over my morning coffee & read it aloud. 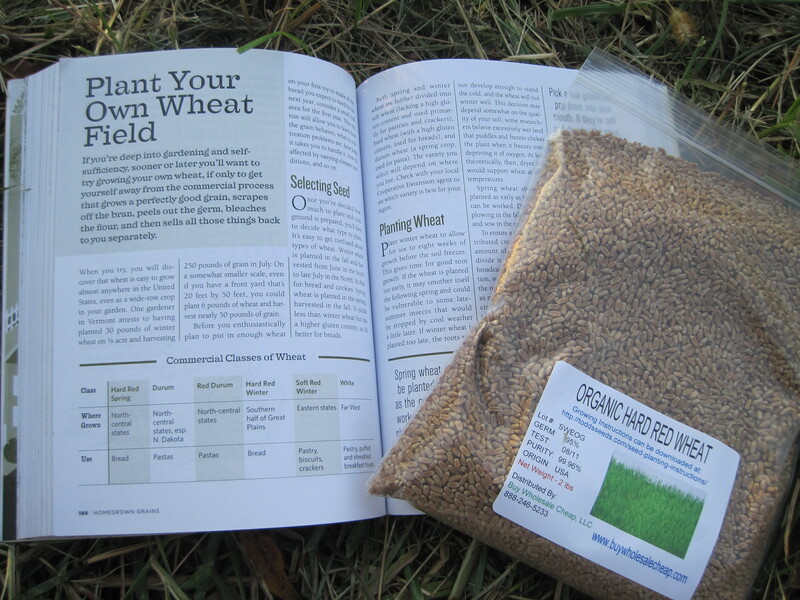 By 8:30 am, M had found a source online and ordered 2 pounds of hard red winter wheat seeds. They came in today. Basically, it would like growing wheat (small scale at least) is not the most difficult of endeavors. We may be starting too late for the plants to have good growth before the real winter frost, but it’s worth an $8 experiment if you ask me. The idea is that winter wheat, which is hardy enough to survive the cold, will have a running start when the spring arrives and yield a crop early in the summer. Wheat planted now (they recommend by mid-October. Oops.) should be ready for harvest sometime around July. So we picked a little swath behind the birch grove and rototilled that soil as soon as we returned from the post office with our seed. Rototill, broadcast seed, rototill again, tamp down and let nature do her work. Sounds good to me. Check back in a few months to see how well it goes. Can you try some oats too? Next year, we plant SPELT! You guys seriously amaze me. When the zombie apocalypse arrives, we are all going to be thankful you are such frontiersmen.